Ad hominem abuse (also called personal abuse) usually involves insulting or belittling one's opponent in order to invalidate his or her argument, but can also involve pointing out factual but ostensible character flaws or actions which are irrelevant to the opponent's argument. This tactic is logically fallacious because insults and even true negative facts about the opponent's personal character have nothing to do with the logical merits of the opponent's arguments or assertions. I was accused yesterday of making "ad hominem" attacks in our arguments in support of fair trade of "e-waste". As a high school debate team champion (my crowning achievement to date, Arkansas state competition, 1980 Soooeeee!) I take very seriously any contention that I'm not logically supporting my argument, but drumming up personal, unrelated accusations against an opponent to sway people. In my view, an ad hominem attack is being made on electronics technicians and recyclers overseas, when professional technicians and engineers are accused of working in "a primitive wire-burning operation". I've done a search of my past and best ewaste blog posts. Aside from the April Fool's day post (which I would still argue is not ad hominem), I find pretty clean arguments . I do address e-waste recycling earnestly, and strongly believe that an export ban has serious unintended consequences. I believe that the e-Stewards model is a case of "the perfect being the enemy of the good" when it attacks ISRI and R2. I believe that the issue which sets R2 and e-Stewards certifications apart are the possibility R2 holds out that possibly an overseas factory might be a good recycling option, that possibly it may be legal, and that possibly it could become a certified and legal end market. I have sided with R2 because of my personal first hand experience with these companies, some of whom are the original equipment manufacturer or assemblers, which are themselves overseas, taking back product very similar to the ones they take back for warranty returns. BAN's arguments in print are illogical: If R2 allows a perfect, non-polluting manufacturer takeback program in India to be certified, that "therefore" R2 will allow pollution to be shipped overseas, or "therefore" R2 violates international law. BAN's argument should be taken seriously, but breaking good stuff people need is not the best or only solution to the problem they pose, and R2 by definition certifies that the export must be legal in both countries. In my most direct appeals to an individual at BAN, such as this open letter to Jim Puckett, I am trying to find the right balance between defending good people doing good things in other countries, and "attacking". I think the best way to put the dispute behind us and to serve my friends overseas is the "California Compromise", wherein a state which is losing so much money breaking working equipment can lose a little less money by supplying the repairable assets directly to the overseas buyers. BAN members alleged that Ingenthron was not aware of the latest clarifications by convention stakeholders with regard to exports of e-waste for repair. "The truth is Robin has been trotting out his own very self-serving interpretation of the Basel Convention," Puckett continued, "unaware that the Basel Parties have carefully examined the issue and created guidelines that refute his notion that export for repair is outside of the Convention." Now, I don't consider that an ad hominem attack on me. I am conscious that the article names my company, that the title is "Toxics News", and that it's critical. But I think the allegation that my position on reuse is self-serving is fair. Wrong. But fair. You see, my company in Vermont sells to the factory which we propose CA SB20 sell to. Once that happens, California's 9000 CRTs per DAY, supplied from ports on the Pacific, will completely flood and erase my own company's purchase order. California will be selling into a market which another logical CEO might have wanted to remain a secret so that they could continue to sell into it. Now, calling BAN the "Ayatollah of E-Waste" is a little closer to an ad hominem attack, though it isn't one because they are not an Ayatollah. I sat on that accusation for several years, and only went public with it after 8 years of standstill on the Basel Convention Annex IX dispute. The "ayatollah" characterization makes a couple of points. First, they act holy and scare people. By "acting holy" I mean that they treat argument over what international law actually says as equivalent to ignoring the law (their interpretation being the "correct" one), and declare those who disagree with them (Bob Tonetti, ISRI, John Lingelbach, WR3A) to be "guilty violators of international law". The "violation of law" is an allegation. In real law, you can hire a lawyer and make your case. For example, at times I think BAN conflates the "Ban Amendment", which they wish to be law, with the Basel Convention, which most countries have signed into law. 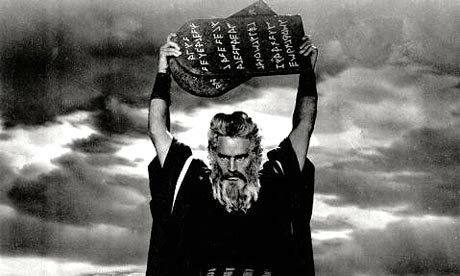 An ayatollah is one who has read the Koran and who people go to for advice - mostly people who have not read it. There are good Ayatollahs. I do confess that in the USA, the term brings to mind those who use their position as go between to make political maneuvers, essentially playing prosecutor, judge and jury. If the Koran says it is a sin be cruel to a dog or a goat, it raises ire when someone never tells that side of the Koran and, because they want a political war on the battlefield, ignore the peaceful passages and emphasize only an obscure passage from when the Prophet was entering a battle. That is the analogy I am making to the Basel Convention, which is not a bad document, and which specifically defends nations rights to support repair and reuse of electronics. BAN knows the difference between the Ban Amendment and the Basel Convention, and knows the difference between Guiyu and Foxconn. But they speak publicly to reporters and activists who do not know what the Basel Convention says (e.g. that two nations can consider an export of a CRT for repair to be "a commodity and not a waste") and I find it sometimes unclear whether they are representing the bureaucracy (Basel Secretariat), the Ban Amendment, or the Convention. People assume they are representing the Convention, when they have taken an obscure, unratified draft proposal on mobile phones made public by the Basle Secretariat and state that my ignorance of the phone document's "decision tree" (which follows more the Ban Amendment) to refute my citation of ratified Annex IX language. It's as if a small group meeting in Switzerland can agree to a document which trumps the rights to repair explicitly stated in the Convention itself. 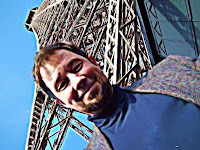 If a memo on cell phones - which never applies cell phone procedures to Cathode Ray Tube factories or even mentions them - is used to get governments to stop those SKD factories from taking back out of warranty monitors in addition to monitors they take back under warranty... ironically, that makes the case of the opponents of the USA ratifying treaties. Opponents say that if the USA signs a reasonable treaty, that the treaty can later be amended or interpreted by an international bureaucracy without represesentation from the USA or balance of powers we are accustomed to. I'm not an opponent of congress ratifying the Basel Convention, but these arguments of caution are not without merit. A lot of time passes with no response to articles which genuinely question BAN's position on export of used products for repair, refurbishment, and even recycling if no toxics are released or disposed of. The USA exports raw ore - copper, lead, etc. - to smelters in China, and the raw ore and blister copper contains more mercury and lead than any e-scrap... but evidently, because it is mined from a mountainside, it is a "commodity", and the copper wire and lead battery which are cleaner and 50x more pure are a "waste". China is starting a campaign to define things like the copper wire and dry lead as "green wastes", because China needs the raw materials. China just doesn't like the secondary market. The Communist Party owns manufacturing, and plays "planned obsolescence" games the same as Japanese and USA companies. My point is that I am most stern when defending other people, usually the technicians overseas and the recyclers like Ms. Vicki in Mexico. But also academics like Eric Williams, Ramzy Kahhat, and Josh Lepawsky, and people like John Lingelbach (mediator of the R2 discussions) and Bob Tonetti of EPA (and now Unicor). I believe that my harshest blogs have been in response to attacks. I hope that I have not made an ad hominem fallacy. I hope even more that BAN will see the opportunity to donate CA SB20 goods to my company's end markets, and put me out of business, the good way. In the process, we can get away from the Fads and Fallacies. I believe that California's supply would be better for our friends overseas, and would put Basel Action Network and my organization, WR3A, on the same side for a change. The United Nations GAID program could get 20,000 computers per year in the bargain (offered as a donation by the recycler who would receive and refurbish the monitors). If the tone of this blog has become more critical in the past year, it is because factories we have visited, very promising shops which would probably have turned into long term infrastructure for the developing nations they are in, have been shut down. I have a letter sent to the factories in Indonesia which buy CRTs and refurbish them, some in ISO14001 certified operations with incidental breakage properly recycled, which tells them they cannot do it any more. This occured AFTER I wrote what I felt to be a very balanced entreaty, "We Shouldn't Have to Make That Choice", which E-Scrap News republished as an Op-Ed last December. See video below from TED presentation by this young African Do-It-Yourselfer. There is also a very funny and inspiring interview with Mr. Kamkwamba on the Jon Stewart Show. 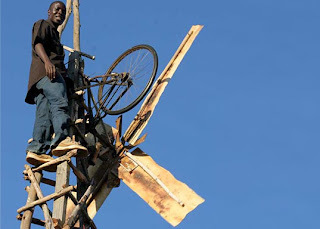 At the end of the Jon Stewart Show, Kamkwamba talks about discovering the internet for the first time (after he built the windmill). I feel some contradictions in the justified excitement around this boy, when there are so many boys like him. Not a majority, by any means, but these kids are about one in ten thousand, and out of a few billion, that adds up. I love young people like this, and they are everywhere. You don't have to wait for Jon Stewart or TED to find these people. They tend to find internet cafes if they are not from very rural areas, like Kamkwamba has been. In fact, they are often the entrepreneurs behind the internet cafes, and they get computers wherever they can. "Hey, how about we boycott them?" Ok, I'm sure you mean well, what you mean is that if they are exploited, we should refrain from exploiting them. But Fair Trade is about engaging with them. People with zero export policy can claim not to have exploited people in these countries, but they cannot claim to have helped them. Listen to the part about cell phones, and ask yourself what kind of cell phones they have in Malawi. This isn't about "e-waste" per se. It is about creativity, connections, and the spread of knowledge. That has a LOT to do with internet access, and internet access has a WHOLE LOT to do with exports of "intact units" from recycling collections. Say no to people who don't remove the junk. Say no to the people who don't test the good ones. I am trying to break the logical fallacy which causes great websites like TreeHugger to post about boycotting the "ewaste" bootstrappers when it comes to electronics, but to applaud wildly the "DIY Hero" kid who makes the windmill which powers the cell phones that came in used ewaste exports. Readers of my blog will know that I am not a "gotcha" guy trying to trip up environmental activists, and I am not calling for a free-for-all in the export market. I am an advocate of Fair Trade. The problem is that not enough people are exporting, and the demand is met by lower common denominators. 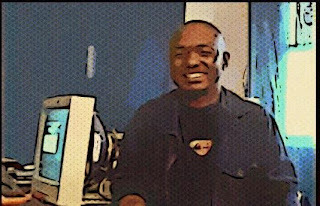 The solution to "e-waste" being peddled is a boycott, a prohibition, a "no export" policy, which is the moral equivalent of sending African Americans back to Liberia. 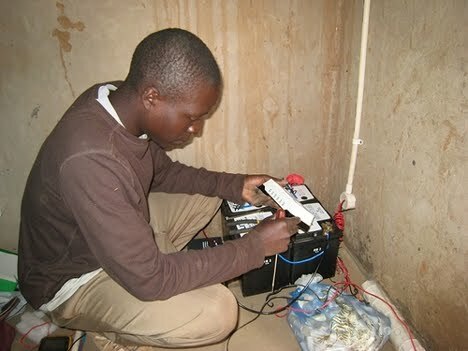 The entrepreneurs and recyclers and technicians are already in the business in Africa, they already have their own domestic electronic scrap which is growing in volume. You cannot put the genie back in the bottle. Fair Trade Recycling is the only solution. 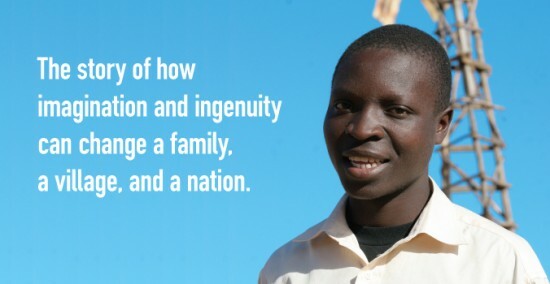 It just so happens that it's extremely rewarding, and you can meet people like William Kamkwamba several times a year. You can invite them to your USA recycling facility, you can put them up at your house. You can become close friends with them, such good friends that you are emboldened to tell organizations like BAN and Greenpeace, Touche Pas a Mon Pote. 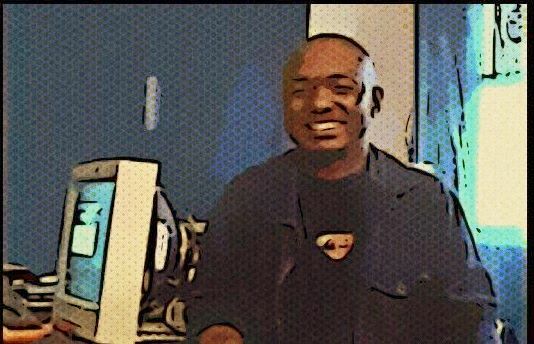 Here again is the blog guest entry by Jean Frederic Fahiri Somda of Burkina Faso, who spent 6 months training with us at Good Point Recycling in Middlebury. More to William Kamkwamba's story is the fictional character I created a year ago, in "An E-Waste Story" about Fahrou. See the bicycle in the photo above, and remember the story about bicycle repair. I have spent a lot of time trying to defend the practice of recycling when the "Harms" and risks of electronics recycing were being exaggerated. That could open me up to suspicion of being an apologist for bad acts. The official Ten Worst "E-waste recycling" Practices have been codified by the knowledgeable insider who thought of writing this first. There may be some that haven't even occurred to me (mixing CRT glass cullet into infant formula? ), but for today, as of 6:13PM EST, here are the Ten Worst "EWaste" Practices. 9. Speculative Accumulation: Collecting used electronics, cashing out the "good" stuff, and letting the pile of hard-to-manage "e-waste" accumulate. 8. Cherry Picking: Companies which enter the market just to collect laptops, cell phones, and higher end computers, but don't accept TVs and hard-to-manage items. They make it harder for full service recyclers to earn a living. 7. Fraud: Cheating on weights, double-counting, bringing non-program tonnage into a program (like CA SB20). Warranty Fraud is the taking the serial numbers off of obsolete electronics and selling the serial numbers to unscrupulous warranty repair shops. 6. Downcycling: Destroying working equipment and "no intact unit" policies take the energy, carbon, and value out of electronics, making recycling more expensive and taking digital access away from the less affluent, used equipment buyers. 5. Circuit Board Burning: This is not only toxic and polluting, but it isn't even very efficient recycling. These primitive recycling methods lose the rhodium, palladium, tantalum and other rare earth metals, and also a lot of the gold gets thrown away. Although even primitive recyclers are capable of sending the boards to professional refiners, earning money, they are driven to burn the boards for faster turnaround of cash flow. 4. Identity theft: taking private information from a hard drive, or selling the hard drive unwiped to someone who will do the same. Not that this happens as much as people fear (as compared to the danger of giving your credit card to a waiter on drugs)... but a good recycler makes sure it cannot happen. 3. Dumping: Telling people you are going to recycle something, then abandoning, exporting, or landfilling it. 2. Toxics Along for the Ride: Using legitimate export (for reuse, clean scrap) to dilute and dump expensive-to-recycle items. The most notorious TAR is usually unscreened CRT screens - mixing in non-repairable junk ones with the ones the overseas internet market demands. 1. Hypocrisy and Bad-mouthing: Electronics recyclers accusing each other of dumping, exporting, lying, cheating, etc... at least when they don't know it to be a fact. Just as negative campaigning reduces voters, negative twitter reduces recycling participation. "Planned Obsolescence" campaigns which masquerade concern over poor importers, bans on "dumping" products in order to protect manufacturing jobs for the same product, accusing people who haven't paid you for your endorsement of polluting... I don't know if these are the worst crimes, but it's number one on my list of noise pollution. A new study was just released, which I read about via PhysOrg.com, which measured the actual airborne chemical harm of circuit board frying (the way rudimentary recycling operations in China). Low-capital, informal Chinese recycling operations heat up the circuit boards to get working chips and parts, and then may submerge the circuit board scrap into Aqua Regia acids. They get chips and gold bearing pieces off of the circuit board, but at significant risk to the workers, and as this study identifies, at significant environmental cost. Readers will recall that the Printed Circuit Board Test is one of the primary auditing techniques of WR3A, and how exporting obsolete PCs (Pentium II and below, and Pentium 3s which are incomplete and untested) is one of the hallmarks of sham recycling practices. We want to balance the defense of overseas recyclers ability to do the right thing with circuit boards, but not to lead clients to assume that the proper technique is being applied. Q: Do good refurbishing and recycling operations exist in non-OECD countries? Q: Is it legal to export for repair and recycling to those facilities? A: So long as no toxics are disposed in the process, it is legal under international law. However, some countries, such as China, have instituted import bans on all "second hand" material in order to boost domestic manufacturing. It is illegal for the Chinese importer to bring the material in, and therefore a violation of many civil contracts (specifying E-Stewards or R2 Certification) in the USA if the recycler has agreed to export legally. Q: Are there also recycling operations which employ shameful practices, such as burning electronics for copper, and soaking circuit boards in toxic aqua regia? A: Yes. You need to be careful where you sell to, just as you need to be careful not to buy shoes or computers made in a sweat shop. Q: Who will be affected by a ban on exports of second-hand electronics? A: Companies which openly and transparently disclose what they are doing (e.g., WR3A members) will definitely be affected. Our legal, transparent, ISO14001, R2 compliant buyers will definitely be affected. I don't know whether smugglers and liars will change what they are doing. Q: Will a trade ban improve the recycling conditions overseas? A: Prohibitions, bans, "war on drugs", etc. work when there is fall in supply or demand... i.e., when something is already in decline, banning it can increase the rate of abandonment and upgrade. But when supply and demand are increasing, prohibitions have historically made things worse. 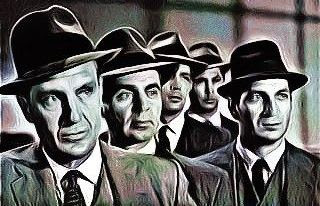 Eliminating the factories which have done the most to answer questions and improve their processes will definitely hurt the employees who lose their jobs there, will hurt the USA, and will move the trade into less regulated back alleys. In other words, the ban on used electronics exports will assuredly worsen the conditions. The quality of e-scrap from the USA and other "rich" nations is better, and more valuable, than the e-scrap generated within the developing country. There is more e-waste generated by the developing countries themselves, however, so they do need to develop processing capacity. WR3A has used the better quality to provide incentives to improve operations, and incentives for the factories to manage more of their country's own waste. We call this a "fair trade" program, and are trying to raise grant funding for official fairtrade certification. Q: How should I choose an e-waste recycler? There are both bad and good examples of e-scrap recycling exports. But no one can deny that there is stuff that should NOT be exported. Broken CRTs are regulated by the EPA, and that means that your recycler needs to document ways they handle CRT glass. No one is buying Pentium I computers or other unrepairable and obsolete printed circuit boards for any reason but scrap recovery, and you need to choose a recycler who documents how those "junk" PCBs are managed. You should not be afraid of companies which do some export of used electronics, so long as the company can document they don't send everything... recyclers need to be accountable, and to convince you that the resale markets they employ are environmentally sound. The best examples may be 'manufacturer takeback' programs, where factories which made computers in the 1990s buy those computers back. Those "contract manufacturers" have experience with ISO certification, etc., which they usually had to employ to get assembly contracts a decade ago. I was at this CES conference, representing WR3A. CES showed a film by WR3A, after Craig Barrett and before John Chambers (CEO Cisco), who were both talking about the market - the people earning $3k per year who are getting online at 10x the rate of growth of people earning $40k per year. The WR3A film was put together from dozens of clips made with Flip cameras sent overseas to our refurbishing friends. The bootstrapping story of techs who are willing to properly recycle if given incentives (such as working and repairable technology that they desperately need) fit right in. This article about Craig Barrett's presentation, the links to Kiva, etc., shows that our message is definitely in harmony with a lot of other information. 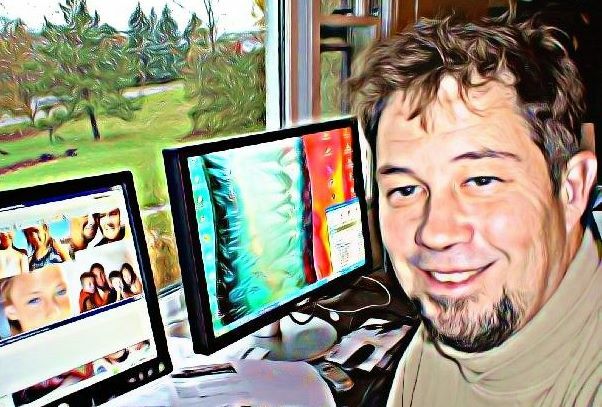 Here is the article from Venture Beat, there in the audience with WR3A, UNGAID, World Computer Exchange, TechSoup, etc. 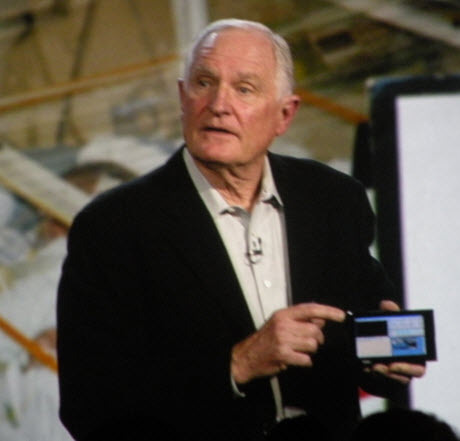 Craig Barrett, the chairman of Intel, used his keynote speech today at the Technology For Emerging Countries summit at the CES conference in Las Vegas to highlight a handful of new technologies that could help alleviate problems of poverty and illiteracy in the developing world. His message was a recognition of the problems that nonprofits are running into during the downturn: Money for big charitable projects is drying up. He pointed to Internet-charged nonprofits such as Kiva, the Silicon Valley company that makes it easy for people to make $25 micro loans to entrepreneurs in developing countries. Through simple web-based interface, Kiva lets you make a loan to an entrepreneur and updates you on how well that entrepreneur is doing paying back the loan. Micro loans have been around since the 1970s, when Muhammad Yunus first conceived of the idea of making loans to the poor in Bangladesh. But the Internet now enables Kiva to raise $1 million every seven days or so. Barrett also showed off how doctors can use mobile Internet devices in rural villages in India to broadcast videos of patients to medical experts in cities. The devices can get Internet connections via cell phone signals and transmit pictures or videos with sufficient quality to diagnose problems from afar. 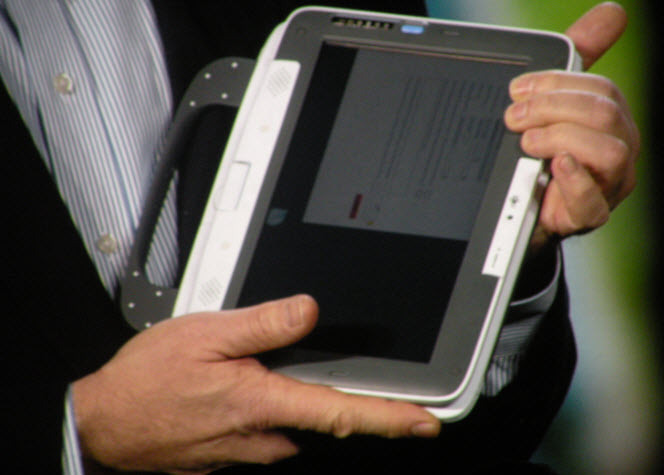 And Barrett also showed off a third version of Intel’s Classmate PC, which has a swivel that converts the laptop into a writing tablet. It also has a touch-screen interface that is more intuitive to learn. Intel is trying to get governments around the world to buy the machines and provide them to schoolchildren. It competes in the endeavour with Nicholas Negroponte’s One Laptop Per Child organization, which recently cut half of its staff. Another technology Barrett highlighted was a game that educates young Africans about HIV and the risks of unprotected sexual behavior. 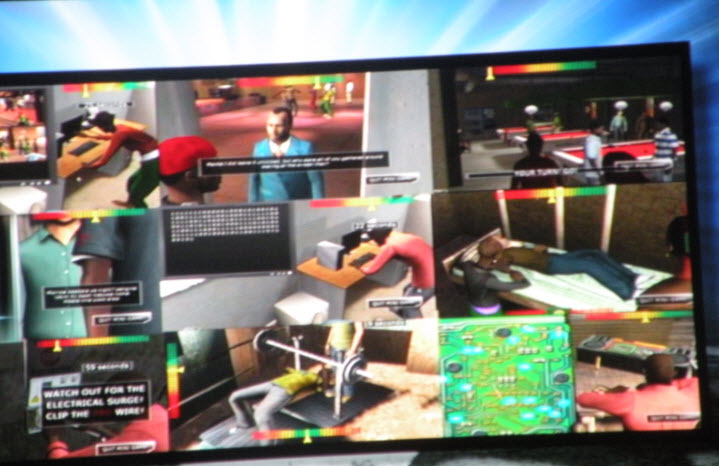 The game is set in the slums of Nairobi, Kenya, and the gamer can play one of five different young characters who have to make choices about their behavior and deal with the consequences. The 3-D game for the PC was created by Warner Bros. Interactive Entertainment, the game publishing arm of Warner Bros.
Barrett enlisted the help of celebrities such as Adam Levine of the band Maroon 5 and Adam Duritz of Counting Crows to urge people to help through a new web site, dubbed www.smallthingschallenge.com. Barrett and his various guests noted that places such as Bangladesh see 80 percent of students drop out of school between fifth grade and 10th grade. While the rest of the world is happy to adopt high-end technology, it’s simpler, low-end technology that provides the basic tools for education to help such students. The quote below the video is typical of sharp criticism directed by BAN towards the United Nations, EPA, the Scrap Recycling Industries, and hard working techs in the developing world etc. "It is being recycled, but it’s being recycled in the most horrific way you can imagine," said Jim Puckett of the Basel Action Network, the Seattle-based environmental group that tipped off Hong Kong authorities. "We’re preserving our own environment, but contaminating the rest of the world." Fellow returned Peace Corps Volunteers... 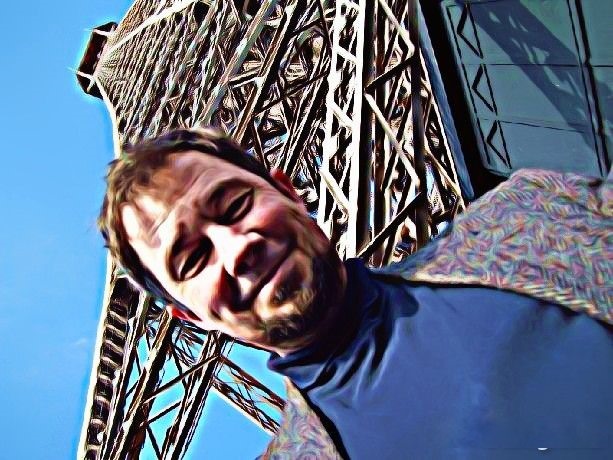 I am in a weird conservative position that seems at odds, superficially, with my history as a progressive advocate of environmental protection. 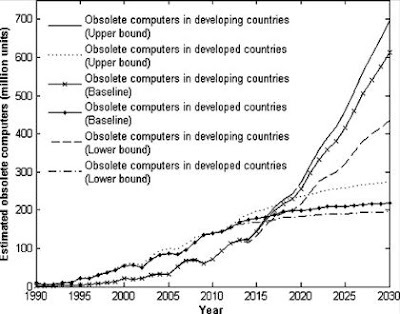 If the items are, as BAN E-Stewards requires, all "tested working", then the vision is for USA companies to distribute the working refurbished computers directly to the end users in the developing world. This bypasses the capable contract manufacturing factories already in many (but not all) of these developing countries, and makes the computers less affordable and the jobs in factories like the one in the video superfluous. The message to the schools and end users is that your computer comes from a benevolent white man in a helicopter, who cannot support it if it breaks down and cannot recycle it when it eventually teeters into "e-waste". Worse, most of the "certified" capacity in the E-Stewards program is shredding up equipment that is never even tested. 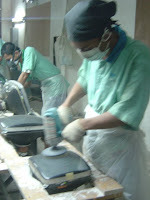 Our partnership with factories like the one pictured guarantees 85% reuse, provides much higher volumes more affordably, and uses the 15% (removed parts, incidental breakage, and other electronic scrap common even in "tested working" shipments) to create a recycling infrastructure there in the developing country. Shutting these factories down is the worst use of environmental time, money and energy I have ever seen. There are indeed genuinely "horrific" e-scrap recycling operations BAN could be going after. By going after the contract manufacturing sector, they will get support from planned obsolescence interests, and wind up with a legacy of "unintended consequences". "The perfect is the enemy of the good" is a mistake BAN is by no means the first to make, and when you find yourselves attacking EPA and United Nations and recycling companies, you better not leverage racist imagery or exaggerate your case. At times BAN has given, offline, other reasons to oppose operations like the one filmed above, like the "reuse excuse" ("This operation looks good, but we worry it will be used as an alibi of bad operations"). Or "this operation is good, but we think shady operations will under-bid it for work". Or "this operation is good, but we think the recycling of upgraded parts and incidental breakage sets a bad precedent." I've heard all of those things, but in private. Whenever BAN's description of the operations is to government or press, it's always "horrific". I just don't trust them until they say something publicly which acknowledges that some reuse and repair operations are NOT horrific. I just don't trust them until I see that in print. Would I work with them again? Absolutely, I tried reaching out to them last spring. But I think they just want to quiet me while they line up recyclers to pay them money for E-Stewards. Money. It seems like it's not about the Indonesia factory's operations or pollution at all. It's all about money. "What if you knew her and found her dead on the ground? How could you run, when you know"? Swedish "indigo girls" band, Dala, plays tribute to Neil Young. Yesterday's Elliot Ness sacasm aside, the link to the federal bill to ban used electronics exports was real. If you work for a scrap recycling company and you are reading this blog and taking the international debate seriously, join ISRI, the Institute of Scrap Recycling Industries (ISRI). ISRI is a large, professional organization with a lot of expertise in markets and processes. My company joined ISRI last year. We do take exports of junk "ewaste"* very seriously. We have had major difficulties getting USA clients to pay for proper recycling of obsolete and non-repairable electronics when recyclers from the area were just filling sea containers. Our first major competitor in Vermont only failed when he miscalculated how many raw computers would fill a sea container, he ordered the sea container too soon and could only fill it halfway (so I heard). But competition from "sham" recyclers continues to be a big threat to investments and commitments we undertake. Before joining ISRI, we first tried to join the list of BAN Pledge companies. We had worked closely with BAN before, on the CRT Glass Test, and telling them about the Anaba Market in Lagos. When interviewed by Charles Schmidt of Environmental Health Perspectives (April 2006, still arguably the best written article on the subject of E-Waste), we stressed the many ways that "toxics along for the ride" occurs. When BAN's estimate at the time, "25% to 75%" waste cited in the article, I supported them, saying the 75% is possible if there is a "Cisco router" or something worth a ton of money (though a uniform load of TVs would closer to 25% waste maximum). Later that year, I wrote to BAN on behalf of my company, telling them where our bad, unrepairable CRT glass was recycled domestically, where our obsolete circuit boards were processed in the OECD, how many employees and plant capacity we had, etc. We did disclose our participation with a manufacturer running a take-back program, and that the manufacturer was not in an OECD country. But I had read the Basel Convention, and under Annex IX there were two ways for the trade to be legal: if no toxics were released, or if the countries considered used electronics "destined" for repair and refurbishing to be a "commodity, and not a waste". I think we got hung up on the word "destined" (even brand new products are "destined" to be waste, if recycling is defined as "waste")..
BAN did not respond to our offer at all for more than 6 months, despite reminders. Finally, they responded that BAN would not accept us as a Pledge Signer unless we ceased doing business with this decent, modern, manufacturer take-back program. I had explained that their company had agreed to earn ISO14001 certification, accept third party environmental audits, and obtain legal import permits. I explained we had proof the CRTs were being reused, and not disposed, and even had film and documentation of the recycling of incidental breakage (e.g. in shipping) and upgraded parts (from repairs or voluntary upgrade of tested working units). Here things got a little queer. BAN suggested I turn over copies of the permits to them. 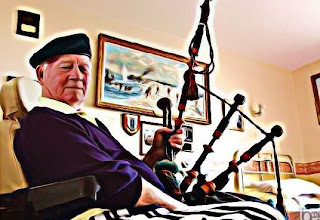 I asked whether, when I did, we would be allowed to join the Pledge? BAN said probably not, as they did not consider the import permits legal within the Basel Convention. So... why were they asking for the permits? My guess was that BAN would have located the permit granting office, and appealed the import permit, and my friends in the monitor re-manufacturing plant would have lost their jobs... (I contend BAN did this to other recycling markets - e.g. 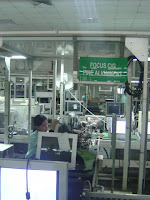 Samsung Corning, the Fortune 100 CRT glass end market). I said I wouldn't provide the permit. BAN said it was necessary to provide all downstream market information to join the Pledge. I asked, if that was true, how come the factory was able to get good CRTs from other good Pledge Signers? Had BAN approved the market for them? 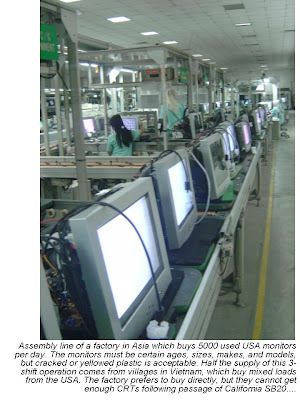 Or had the Pledge companies declared the monitors "tested working" (a possible loophole, as the factories did buy those - and remanufacture them with the same "parts upgrades")? Or had BAN never asked, I had simply offered "too much information"? BAN said they'd be really happy to have my company on the list of Pledge Signers, and I think that was sincere. Of course, if the importer's permits are revoked, I guess BAN thought that would address my objection to leaving the company, and all of us Stewards would be in the same boat (except for one notable cheater they eventually removed from the Pledge list last winter), and we'd be happy ever after. They seemed to think I was motivated by money, and the last response was all about how becoming a Pledge company would allow me to get more clients and income. I guessed they don't really know me, and only valued me as a source of information... I had to decide, like Huck had to decide between Wider Douglas and his stolen property friend, Jim. I stayed loyal to the reformed export market. That was 3 years ago. Since then, we had this same discussion with EPA (I was a representative of WR3A at the Responsible Recyclers stakeholder group). BAN has had enough time to get a picture of when "the perfect is the enemy of the good." In 2009, when Representative Green's Bill was filed, I realized WR3A is too small to manage this kind of insanity, and joined ISRI. The weekly briefings on scrap markets, safety and OSHA requirements, legislation and law, has been very much worth the membership. ISRI has also taken the "sham recycling" seriously, and I participated on a group that took export ethics discussion to new levels for their business association. Whether or not you take this issue as seriously as I do, joining ISRI is a smart move. The Friday Reports on scrap prices, by themselves, are worth the cost of membership. * ISRI hates the term "e-waste", since it has been used to poison the well before it's even determined whether something is destined for recycling, reuse or disposal. Was the e-scrap bad, or was the foreign recycler incapable? If the former, the buyer needs more choices of supplier. If the latter, the seller needs more choices of buyer. (1) load quality, or (2) processes. Ban exports of used electronics. Reanimate the body of Elliot Ness. If there are no forms of e-scrap which are "touchable", and no foreign recyclers capable of proper recycling, then you should mandate E-Stewards. If you find evidence that decent folks overseas are capable of doing a good job, given proper incentives and certification, then you should consider R2. "Yes. I admit it. Reuse can indeed be used as an excuse for pollution. But refusing to trade with people of languages and color is a cowardly reaction to that risk." Used electronics importers and exporters, in India and Sri Lanka, in Venezuela and Brazil, in Yaounde and Accra and Rabat, in Sonora and Penang and Jiangxi, they are all caught in the cross-fire, between mining and poverty, between government shakedowns and organized crime, dodging kidnappings and fatwah and employee theft. They are blown about by the winds of planned obsolescence, anti-gray-market alliances, shredding machine makers, and poster-child politics. It's amazing that despite all this, internet access is growing in the developing world at 10 times the rate of growth in the USA. The African and Asian internet cafes are not starting up with brand new computers. Iranian students in the green protest last year could not have made themselves heard without the reuse and repair market that some well-intentioned environmental organizations have labelled "e-waste". 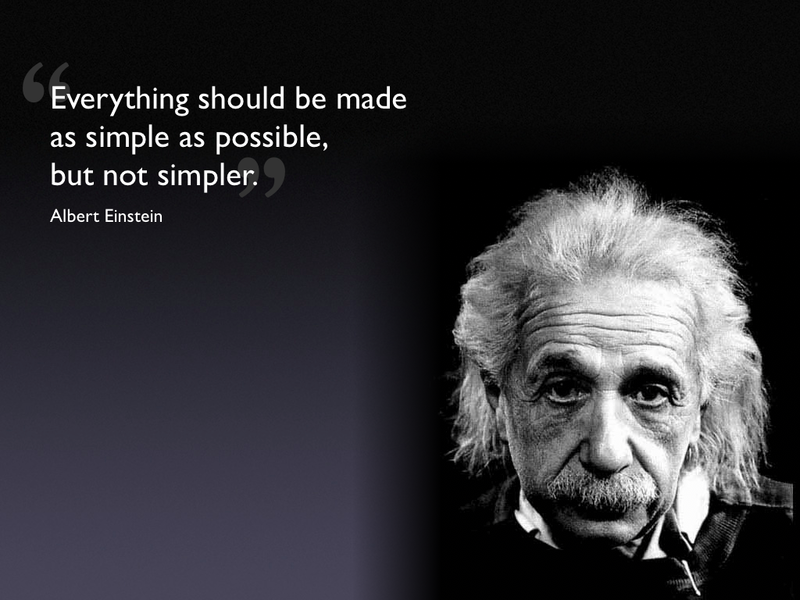 But exports are not easy to do correctly. Most of us don't have time and resources to fly and visit every reuse end market (WR3A.org is a business consortium that cooperatively shares site visit data). And here's another nugget of "industry insider" information. We have narcotics traffickers, money launderers, and car thieves among us. And any such excuse to crack down on digital access, whether it is a threat of pollution or a customs violation, becomes an opportunity to silence internet sites which are often critical of dictatorships. One of my favorite used computer markets in Egypt was cut off by authorities two years ago. Authorities had found generic viagra hidden in used monitors shipped from another source (Toronto), and banned all used monitor imports. Five years of trading with Egypt came to a stop. The university students are still there, the second hand electronics malls are still there... there's market demand that LCDs cannot meet. Even a $20 screen is considered expensive - their GDP per capita is around $3,000 (USA is over $45,000). So you have a starving market, and the good guys are not allowed to sell into it. Some electronics recyclers are still smuggling computer monitors into Egypt. I would like to. But R2 or Responsible Recyclers standards require my company's trade to be legal according to the competent authority in the importing country. I don't want to fink on the cheaters, because in the big picture, we want the young people overseas to have internet access. We want them to learn for themselves about endangered species, coral reefs, mines, greenhouse gases, and rain forests. So, to keep the relationship with the Egyptian WR3A member, we created another legal solution involving the contract manufacturers in Southeast Asia. We introduced the Egyptian buyer to our friends at the audited Asian SKD factory. As the slides on Facebook (below) show, the contract manufacturing factory sent boxed, refurbished CRT monitors at somewhat affordable rates ($30). It could have been from one of the "clubbed to death" factories in Indonesia. The refurbished computers were sold with warranty, and technically supported by the brand owner and distributor - our Egyptian business partner. Facebook (23) | Videos Posted by MEDI_COM for import and export: Medi_Com [HQ]: "(Check out the Egyptian marketing on Facebook)"
The Egyptian company's expertise in repairing computers means they can extend and support the warranty - something not all SKD factories do. Hamdy's company brand is on the refurbished PCs and their boxes. They now sell monitors to several other African countries, and are creating an Egyptian brand which may someday become Dell-al. Good Point organized the deal, but doesn't take a penny from it. 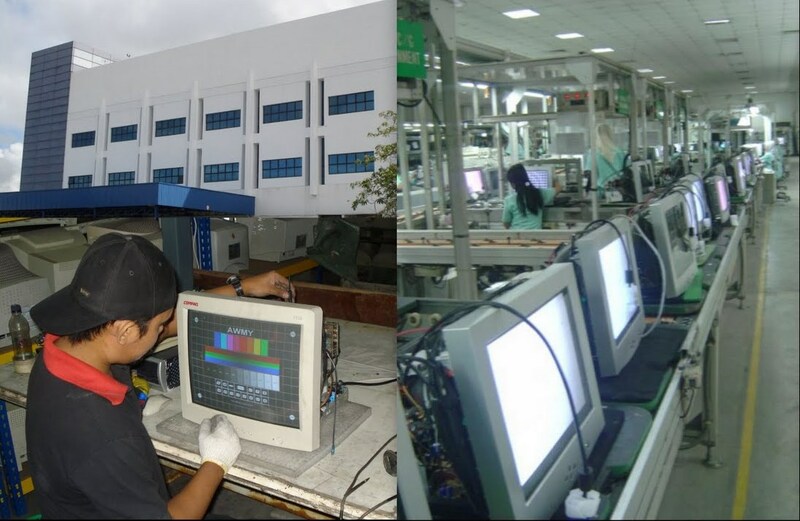 We do supply the factory with inspected CRTs (removing not just unrepairable units, but also CRTs which work but are the wrong raster, curvature, etc. - items a "tested working" exporter might miss). They want to work with the UNGAID and other ICT programs to donate some to schools, and support the ones they donate. Sending the CRTs to a refurbisher, so they can be legally imported as new, is inefficient. Interesting, yes... but a lot of unnecessary transportation. And now the protests against used technology "exports" threatens to close the imports in Indonesia, too. Bans on "used computer" imports in China, Egypt, Kenya, Nigeria - and now Indonesia - will have absolutely no effect on the lives of people burning wire at the dumps in Ghana. That trade is just going to get worse. Many posts by fellow environmentalists are critical of reputable environmental leadership organizations like EPA, ISRI, and UNCTAD. As if to ask, why can't our government stop us from seeing poor dirty black people and brown people and yellow people burning wire? Any solution appears welcome, and if it takes out the refurbishing class and internet access in developing nations, that's a price some are willing to pay. Remember, the Basel Convention EXPLICITLY allows exports of CRTs for repair and reuse. R2 requires legality in the importing country. WR3A companies don't mix any drugs, guns or cigarettes into the containers, so our exports to HAVE to be working and repairable to offset shipping. Nevertheless, good "Steward" companies like ERI, URT, WeRecycle and Total Reclaim - and SB20 processors in California - shred that equipment up, and trumpet themselves as superior to those of us engaged in fair trade with good people. If supply is now cut off to both Egypt and Indonesia, this creates shortages. Buyers get desperate. As an R2-ready company, I cannot supply them, but I cannot in good conscience accuse the underground recyclers who do supply them. We seem left with two choices: to defend the very exporters who smuggle, or to pray that our poor friends will "leapfrog" us and get brand new computers, so we can all sing and dance and throw flowers. And I have opened the door to my company being accused as an "export sympathizer ." Internet access is Barleycorn. We can only affect the speed, the availability, and the environmental sustainability. Mining up environmental disasters to provide expensive internet for the upper classes is one option. It takes courage to try to get working equipment to the best and brightest in rapidly developing countries. I know they are capable, and enthusiastically willing, to recycle the leftovers in a sustainable fashion if given the incentives to do so. Therefore, I cannot ally myself to those who preach otherwise. The truth is, our company actually exports very few of the used computers we collect... about 22%. It could be much higher, but we collect old TVs and other consumer electronics as as service to the Vermont community. Today, some of our commercial suppliers prefer to pay full recycling cost (zero reuse) to have their equipment disassembled. We honor those individual requests, while sighing or grumbling about the "big picture". It's constantly implied that the quality of an e-waste company can be measured by how little they export. Good Point Recycling chose to pursue a standard - R2 Certification - which our friends in Africa, South America, and Asia could also be certified in. At 22% "intact units", are we 1/5th gangster capitalist, 4/5 E-Steward? Would we be a better and safer company if we had a "no intact unit" policy? We would create fewer jobs in the USA, and fewer jobs overseas, if we didn't run two operations (reuse and demanufacturing). It is harder to do the best thing, and irritating to be slammed for doing so. In respect BAN and NRDC: They have a valid point. We do not want to make excuses for sham recyclers who ship the other 78% as "toxics along for the ride". We agree with BAN's basic goal of allowing good stuff to happen and keeping bad stuff from happening. But an export ban is an end-of-pipe construct which addresses neither supply nor demand - that is the prime mover for unintended consequences. BAN's interpretation of the law is throwing the baby out with the bathwater. In Egypt, Indonesia, and China, there has been an Ox-bow Incident, where the export market was condemned without trial. E-Stewards Certification creates shortages ... Buyers get desperate, buy where they can, and more primitive wire burning results. I'd embrace E-Stewards if I see reuse occurring from stewards, rather than hearing the crushing sounds of destroyed display devices. It takes rather more time to repair or test them. The destruction machines are so lightning fast, and they reduce payroll. How did the other environmentalists get hooked, unable to acknowledge or respond to the existence of good overseas operators? Well... E-Stewards Certification is also an expensive process which pays the NGOs handsomely for this digital lynching of the refurbishing market. BAN is paid handsomely by the companies with big shredding investments. Not participating in the export market is a sin of omission. The Stewards don't pollute or poison people directly. But if you neither repair, nor allow repairers to inspect and buy your goods, then you are left with raw materials which the developing world cannot afford to manufacture into new "leap-froggy" products for themselves. Yes. I admit it. Reuse can indeed be used as an excuse for pollution. But refusing to trade with people of languages and color is a cowardly reaction to that risk. My vision is to use fair trade programs. The value of western goods and the savvy of skilled southern and eastern technicians can build a bridge over corruption, poverty, and pollution. With the Responsible Recycler certification, we will also assist developing world in creating safe recycling jobs for their own home generated e-waste. Safe recycling jobs are a fine alternative to the mining investments which are pouring into developing countries. This has been portrayed as an "environment vs. poverty" debate - but the fact is that reuse and refurbishing is environmentally far superior to recycling. Shredding working stuff creates MORE pollution. It's not this-or-that, it is a lose-lose proposition. Fair Trade Recycling - woot! Both direct repair and "Semi-Knock-Down" factories refurbish CRT monitors for reuse. There are all kinds of recyclers, techs, refurbishing companies, villians, heros, importers and exporters. There are nasty operations in Guiyu and Lagos. And there are terrific ones elsewhere in Asia, Africa and Latin America. It's a lot of work to find the right ones. But when you find a good trading partner, the benefits extend far beyond environmental protection. The environmental benefits of reuse and proper hand-disassembly are indeed superior. The social benefits are perhaps even more meaningful. At bottom is a slide show of the good old days, visiting our repair partner in Egypt, before the knee-jerk export bans and "cancellation" rules turned him into an environmental boogeyman. This direct reuse process demanded cosmetically nice monitors, and there was no "SKD" or parts to be recycled. We photographed stuff that was damaged in shipping, and had a re-training with the staff in Vermont when I returned. After 5 years of trading, Hamdy invited my family to come meet his family. No humans or animals were poisoned by "ewaste" in the making of this slide show. I hope more companies will join us in our pursuit of win-win, fair trade recycling partnerships. The E-Scrap Conference in New Orleans in September is a huge opportunity to meet people of many countries, and - if you can document your domestic removal of junk - to apply for membership in the World Reuse, Repair and Recycling Association. BAN will be there, EPA will be there, ISRI is there. Come visit me at the WR3A booth and learn for yourself how the export market works. Here is another interview of another accused polluter, explaining his job and what he does to make affordable technology using sustainable methods. Here's another human being whose job is now at risk in Indonesia, due to false accusations that his company is polluting Indonesia.